In its first thirty years of existence, GRIP developed internationally recognised expertise on subjects relating to the control of arms sales, particularly the proliferation of small arms and light weapons. 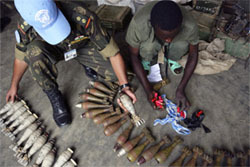 Whether in terms of Belgium, the European institutions or the United Nations, GRIP is closely involved in all processes to improve international, regional and national measures to limit the availability of small arms and improve arms control (codes of conduct, conventions and legislation). 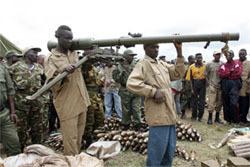 GRIP is closely involved in initiatives on the tracing and marking of small arms, arms sales to countries in Africa and the gun ownership by civilians.